The protein tau has long been at the center of a debate about the causes of Alzheimer’s disease, but how the protein works is still mostly a mystery. A paper published online yesterday in the journal Nature Medicine examines tau’s role in Parkinson’s disease and demonstrates that the protein’s function in the brain is related to the transport of iron, a big step toward understanding the molecular underpinnings of both neurodegenerative diseases. Parkinson's and Alzheimer's could be caused by an accumulation of iron in regions of the brain, Australian researchers have found. Following this discovery, the team went on to actually prevent neurodegeneration in transgenic mice by giving them an iron chelator. The finding could offer new avenues of investigation for finding treatments for these incurable diseases. Tangles of tau protein inside the brain have been linked to Alzheimer's and Parkinson's before. "The field has been inclined to think of these tangles as poisonous junk. But there is no proof that tangles are the sole culprit in nerve death in these incurable disorders", says Ashley Bush who led the research at the University of Melbourne. "Genetic studies have implicated tau in both Alzheimer's and Parkinson's, but there is no certainty about what goes wrong." Now, Bush and colleagues have discovered that samples of human brain tissue affected by Parkinson's disease contain lower levels of soluble tau but elevated levels of iron. This lack of tau protein, they suggest, could increase iron levels in the brain and cause neurodegeneration. The team tested what happened to transgenic mice without the tau gene. 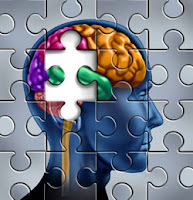 They found that at 12 months old the mice were cognitively impaired in a maze test and there was severe degeneration in the cortex and substantia nigra regions of the brain - the areas typically affected in Alzheimer's and Parkinson's, respectively. What's more, they observed that iron accumulated in these regions. When the team put 6 and half month old tau knockout (KO) mice on a diet containing the drug clioquinol, a non-toxic iron chelator, they found it halted iron accumulation in the affected tissue and completely rescued cognitive and pathological degeneration, providing evidence that iron causes neurodegeneration. 'Treating a tau KO mouse with an iron chelator was not an experiment you would have predicted to be obvious from the existing literature,' says Bush. 'We were quite stunned by how profoundly clioquinol rescued the tau KO mice.' A further experiment revealed that a lack of tau impairs the trafficking of a protein involved in neuronal iron export.